I’m squeezed in the backseat of a pick-up truck following a cow down a mountainous trail looking for Oxyura dominical, an elusive masked duck. 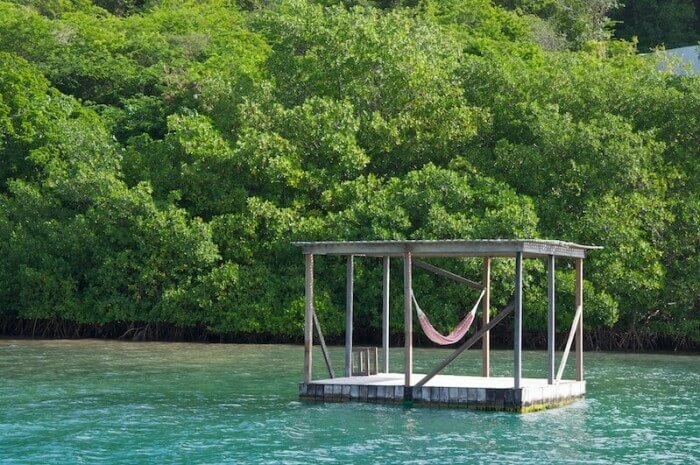 A duck safari isn’t a typical experience for a rum plantation tour, but as I’m fast discovering, Grenada isn’t your ordinary Caribbean island. 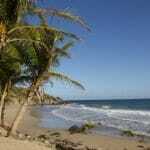 Grenada is best known for its 40 beaches but you don’t want to miss the food. 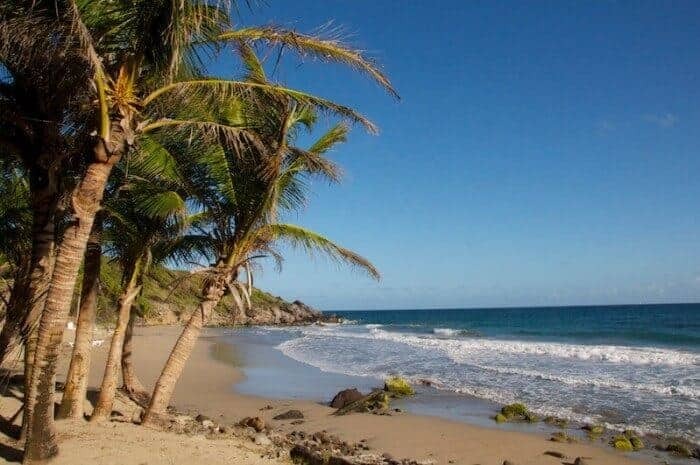 Located at the southern tip of the Windward Islands in the eastern Caribbean, Grenada and its sister islands of Carriacou and Petite Martinique are best known for their 40 beaches, lush landscape, and spice production. But its unsung scene is Grenada food. 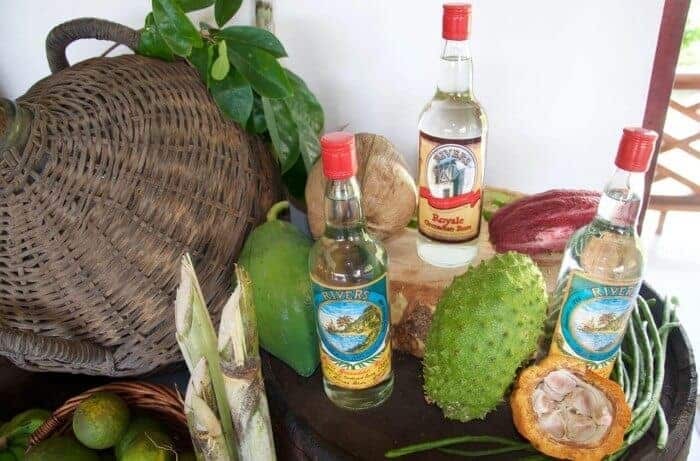 Its culinary scene of local food and drink is so rich and rewarding, it was one of the top reasons I wrote 12 Reasons I’m Tempted to Drop Everything and Move to Grenada. Here’s what you shouldn’t miss when it comes to food, drink and local dishes to try in Grenada. “Although our distillery was established in 1785, we’re still learning about the estate’s eco-system,” explains Simon Greene, General Manager of River Antoine Estate & Rum Distillery as we peer into Lake Antoine, a deep teardrop-shaped lake formed by the crater of an extinct volcano. 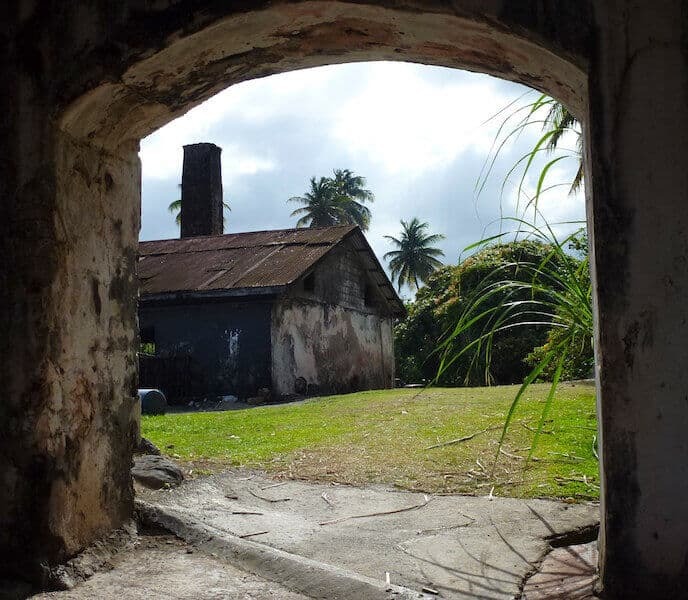 The sprawling estate is home to the oldest functioning water-powered rum distillery in the Caribbean and feels like a place locked in time. It’s a place where workers harvest sugar cane by hand and the rum-making process is powered by nature. Much like the plantation’s terrain, Rivers Rum, produced in strengths up to 150-proof, is not for the faint of heart. But this rawness is part of its appeal. It’s also highly flammable so even if you’re tempted ( and you will be) don’t try to take the 150 proof stuff on the plane. After sipping my share of rum ( straight up I should add), I continue my orientation into Grenada’s food roots–a fascinating mix of African, Arawak, Indian and British influences–at Laura’s Herb & Spice Garden, an educational botanical project located at the southern tip of the island. Next up is a visit to the Grenada Goat Dairy, another project born from the devastation of Hurricane Ivan. 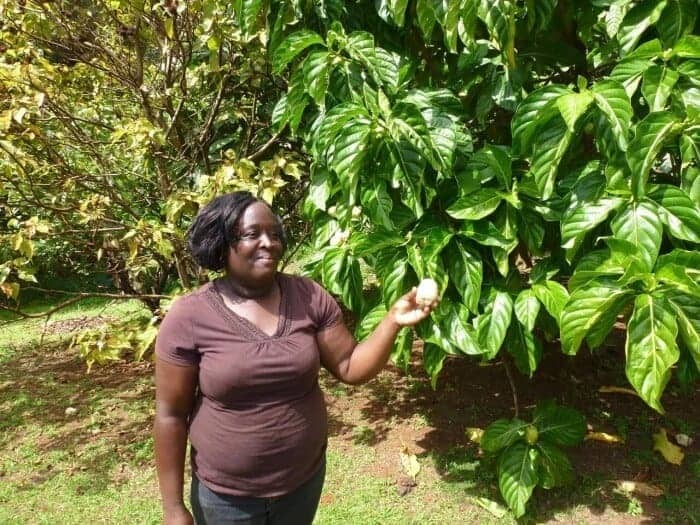 This not-for-profit organization partnered with Belmont Estate, a fully functioning 17th century plantation located an hour from the capital city of St. George. 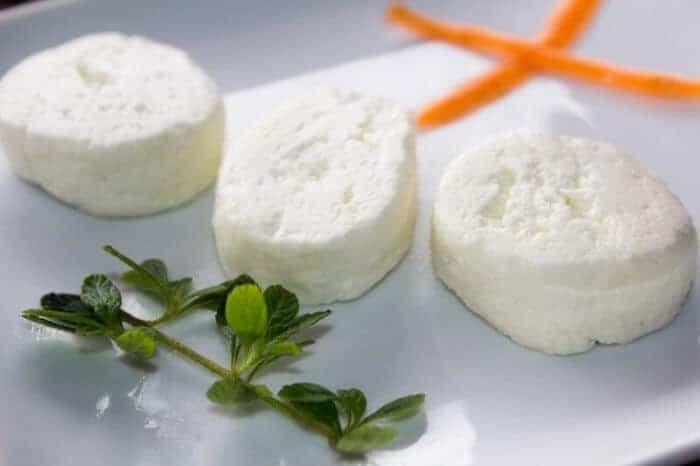 Proceeds from the sale of organic Grenada Goat Dairy cheese support education and training on husbandry, production and marketing within the community. 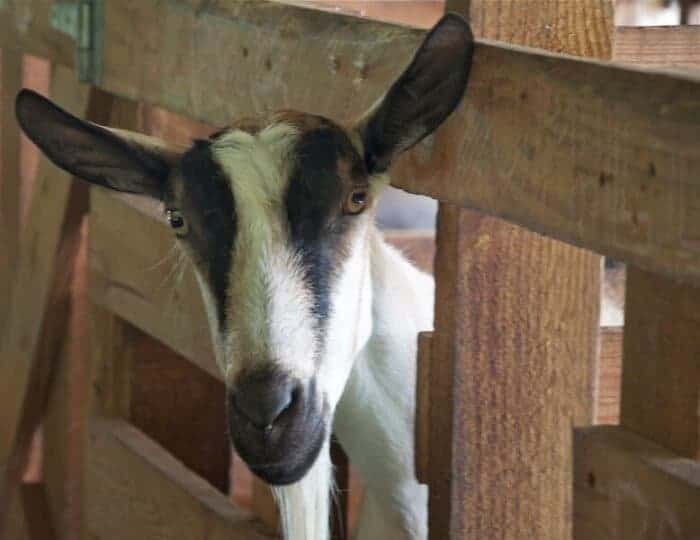 We explore the new (and storm proof) barns where the herd of dairy goats–a mix of local, pure bred Alpine and floppy-eared Nubian–happily chow down on organic “goat greens” that look much like a mesclun salad you might find on a resort buffet. Inside the modern facility, the goat milk is filtered, refrigerated and pasteurized to the highest international food safety standards. I’m surprised to discover that the cheese’s delightfully smooth texture offers just a touch of milky tartness. “The combination of quality facilities and the goat’s healthy diet results in a delicate tasting chèvre,” explains Christine Curry, the project’s director and co-founder. 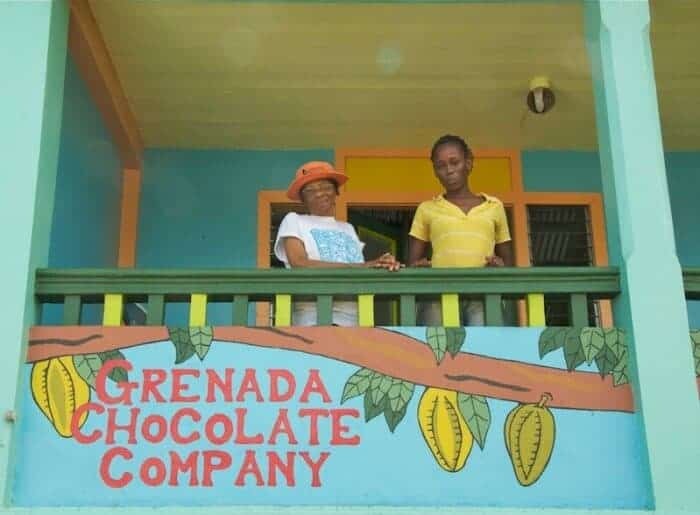 Also located at Belmont Estate is the Grenada Chocolate Company, a solar-powered, tree-to-bar cooperative at the edge of the Mt Hope rainforest. Surrounded by lofty Madre de Cacao, a tangerine-blossomed tree that provides protective shade for the cacao trees, red and yellow cocoa pods grow in wild abandon. “Take a bite,” offers the tour guide cracking open a pod and scoops out some beans so I can sample its citrusy, white pulp. 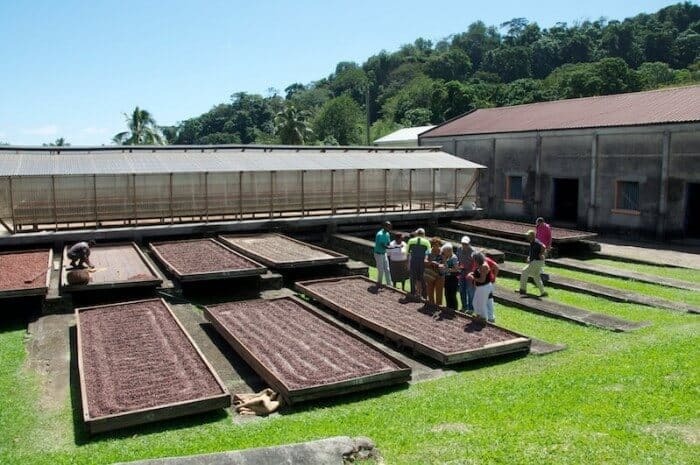 The Grenada Chocolate Company cultivates almost exclusively Trinitario cocoa bean, a variety prized for its intense and complex flavour. Within the processing area, the cacao beans are hand harvested, fermented and sun-dried naturally. The beans are then polished traditionally by workers who “dance the cocoa” by turning the beans with their feet in a giant copper bowl or in drying trays. After drying, the cocoa beans are roasted, winnowed, churned, tempered and pressed into chocolate of exceptionally intense flavour. Chocolate lovers won’t want to miss the Grenada Chocolate Festival, a delicious celebration of chocolate from bean to bar, that takes place each spring. Later that evening at the Calabash Hotel’s esteemed Rhodes restaurant, headed by London celebrity chef Gary Rhodes, I look for Goat Dairy’s chèvre on the farm-to-table menu and discover it in a ruby-toned beetroot tart. Enjoying its velvety taste while being serenaded by a chorus of tiny peeping tree frogs, is the ultimate eco-dining experience. It’s a good thing callaloo is good for you — the leafy greens are packed with iron — because I’m eating my weight in it each day. I begin my morning at Le Phare Bleu with a swim to a hammock followed by a callaloo omelet. Later, I discover the vegetable tucked inside tender cannelloni at beachfront Aquarium restaurant, pureed in soup at Patrick’s Local Homestyle Restaurant, and sprinkled on top of thin crust wood-fired pizza at Le Phare Bleu Marina & Resort. I can’t get enough of it. Originally brought from West Africa in the 17th century the mineral-rich vegetable has become a staple of Caribbean cuisine. It thrives in Grenada’s fertile soil with leaves the size of yoga mats growing freely by the side of the road. 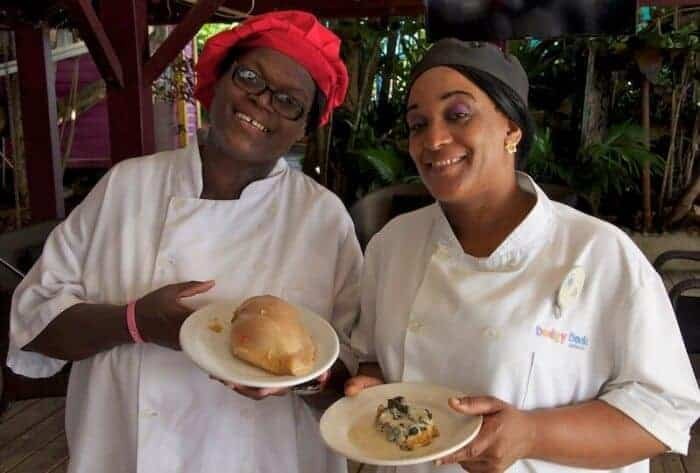 On Thursday afternoons, True Blue Bay Resort popular cooks Esther and Omega offer cooking classes for hotel guests and visitors so I head there to learn how to cook with callaloo. The first thing I learn is that no matter how tempting it might be, you can’t just grab a handful of callaloo from a ditch and chow down. The duo sautées the callaloo with onions, garlic and thyme, stuffs the mixture inside a chicken breast, grill it and then top it with a heavenly sauce of coconut milk, cream, white wine and fresh-grated nutmeg. 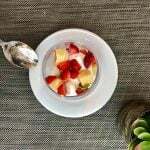 The spice-infused creation is simple but bursts with flavour. For me, no Caribbean trip is complete without sampling the local beer (Check out my story on “His” and Hers” beer in Trinidad and Tobago) and a new addition to Grenada’s culinary scene is the West Indies Beer Co., the eastern Caribbean’s only microbrewery.Holding the first brewery license granted on the island in 50 years and hawking their hops to beer fans from a just-opened roadside brewpub in the community of L’anse Aux Epines on a southern peninsula of the island, they specialize in natural beer brewed using traditional ingredients. 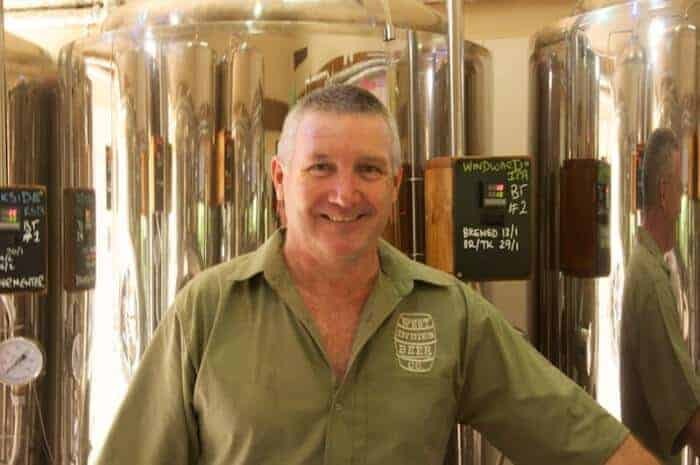 I meet up with Master Brewer Mark Heath (who hails from Ringwood Brewery in the UK) and he explains how he is using malted barley, Irish Moss seaweed and spring water sourced from Grenada’s rainforest-draped volcanic mountains to craft their ale. It’s morning but that doesn’t stop me from sampling a flight of four beers (hey it was early but they were small) including Old Mongoose Porter, a traditional bitter (watch for it infused with organic cacao in the upcoming Chocolate Festival) and a flagship brew Windward IPA, a fruity golden ale that’s as refreshing as the island’s trade winds. Get a growler to go or join the crowd in the beer garden, where office workers from the nearby US Embassy mingle with locals during special events such as pig roasts and tapas nights. I wrap up my culinary tour with a big platter of Oil Down, Grenada’s national dish. For the past several days, I’d noticed locals walking to beaches, toting gigantic steel pots. It’s an all-day affair, cooking this one-pot stew packed chock full of plantain, breadfruit, salted meat, chicken or fish, spices and coconut. Mixed in a large pot, it’s set over a burner to simmer for the day during a beach party. As I dive into my platter of Oil Down, I discover tender dumplings hidden within the smoky, curry broth. Steamed dumplings might seem more suited to Tyrolean ski slope than a beach cookout but the filling stew is somehow a perfect complement to the cooling trade winds. Surprising and satisfying–much like the island of Grenada itself. 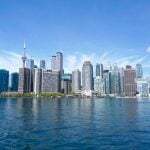 Your post reminded me that although I dislike all inclusive resorts, what’s more important is getting out and doing interesting tours like the one you did and learning more about the island. LOVE the cute pic of the goat. 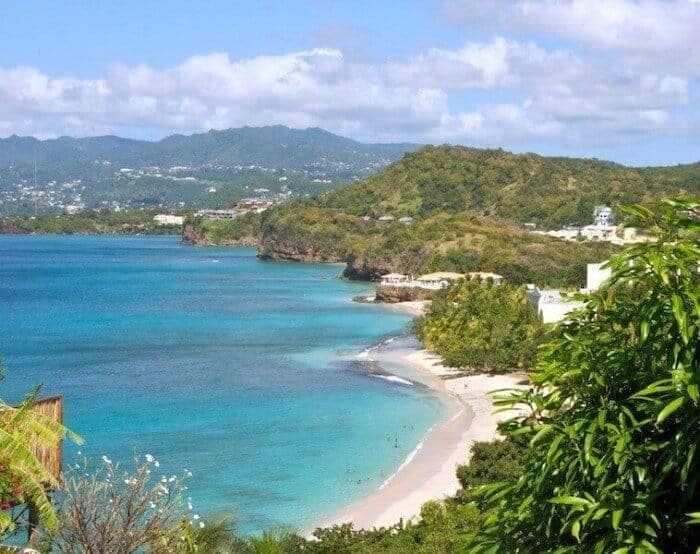 I don’t know much about Grenada but it certainly looks worth visiting. I wouldn’t have expected to find the range of food options you’ve covered. 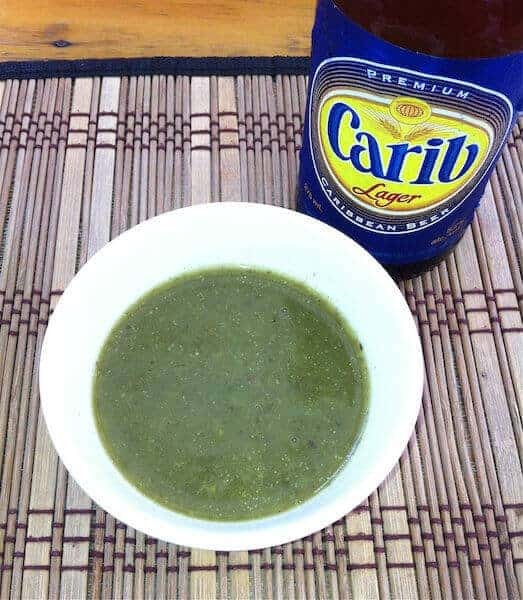 Callaloo soup was a favourite of mine on one of my visits to Nevis. I have never heard of Oil Down stew. 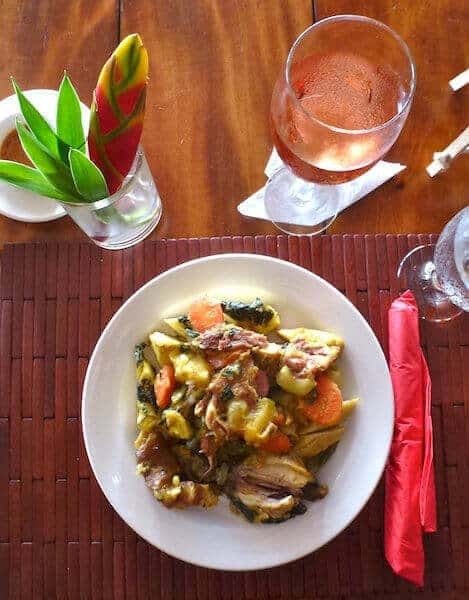 What a wonderful culinary journey you had in Grenada. So many unique dishes and foods. I’d love to try the Oil Dish with a local brew. Everything looks delicious. 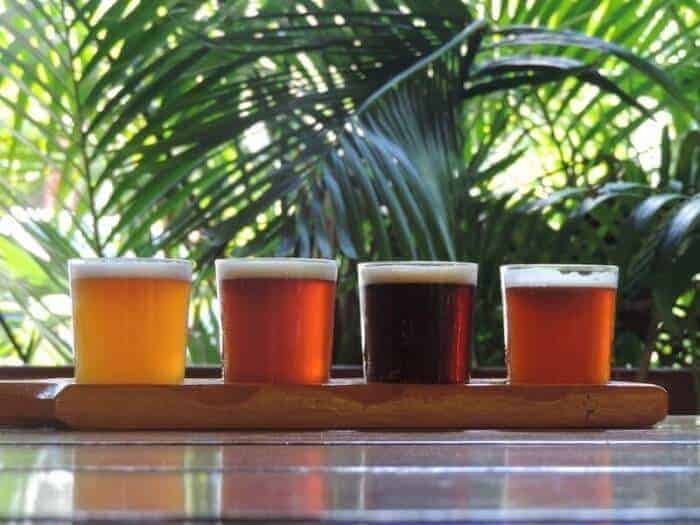 The food, the beaches, the craft beer – what’s not to love! We went to Grenada in 1992 with two toddlers, so we were a little more restrained in our movements. But we loved it nonetheless and your photos have inspired me to return, for sure. YES I am a food lover!!! And I also love cheese so I’d love to try the chèvre cheese. Everything looks so beautiful! The micro-breweries movement here in the Seattle area is huge right now. Would love to try some of that West Indies beers! Looks like a great place to chow down. We fell in love with callaloo when we tasted it in Jamaica! Thanks for the info, Hugh. I was just in Jamaica and tried some callaloo and was surprised to discover it was very different than the callaloo I tried in Grenada. Now I know why! Wow, this really takes us back to our days living on St. Croix. Haven’t had callaloo or a Carib since then. Haven’t ever tried Oil Down though. I was in Grenada last July and, like you, I love callaloo! I also brought a few of the Grenada Chocolate Co. chocolate bars back with me – yum! The oildown you have pictured, however, doesn’t look anything like what our tour bus driver stopped and got for us to try at a local place. Yours looks much more appetizing. 🙂 I didn’t make it to the rum factory but then I’m not sure my system could handle it anyway! Would’ve been interesting to see but it was closed the day of our tour. 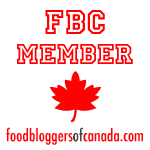 Organic cheese, chocolate, and rum – just to name a few! All I need to start packing my bags for a visit to Granada! We love taking cooking classes when we travel, I love the way it gets you close to the locals and of course the local food!